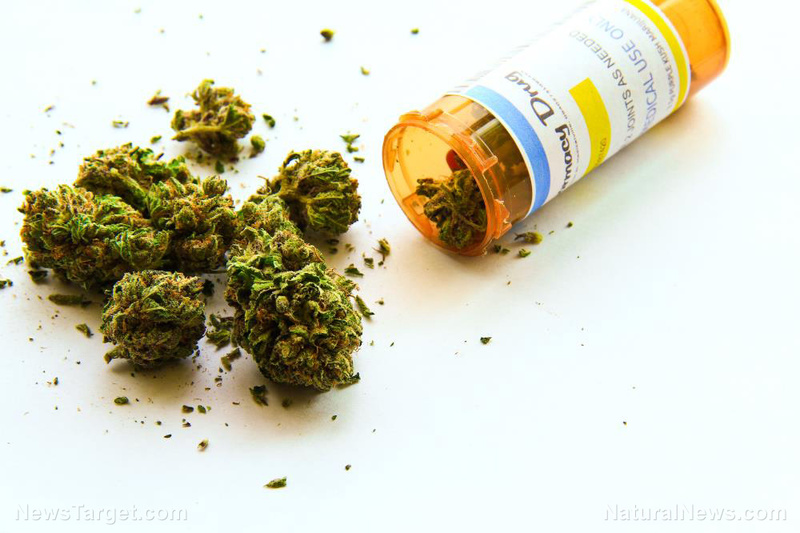 (Natural News) As the controversial issue of medical marijuana use is coming to a head in many states, now is also the time for people to understand its many uses and benefits. While some people believe that marijuana is just for recreation, numerous studies reveal otherwise, showing that it also lends itself to various medicinal purposes. Two of its main components, namely, tetrahydrocannabinol (THC) and cannabidiol (CBD), are the most studied by researchers due to their many health benefits. For instance, they were found to be effective against chronic pain and certain psychological disorders. But while some of THC and CBD’s medical benefits are similar, they each have properties unique to them. Knowing the difference can be helpful to people who want to add marijuana to their list of remedies. Marijuana can be classified to either Cannabis indica or Cannabis sativa. It should not be confused with hemp, which only comes from C. sativa. Despite its similarities with marijuana, hemp is used mainly for industrial applications while marijuana is grown for medicinal or recreational purposes. This difference is mainly due to compounds called cannabinoids, the main components of both plants. Marijuana is rich in the cannabinoid THC while hemp contains large amounts of CBD. So how do people choose which one to use? As a cannabinoid, some of THC’s medicinal benefits are similar to CBD’s. Both of them are good for relieving nausea and pain, and some people use them to help with anxiety. Of course, it is up to the person if they want or need the psychoactive effect that comes with using THC. While some people may prefer using something that won’t make them high, there are others who benefit from it. A study published in the journal Clinical Drug Investigation reports that THC as an add-on treatment improved the symptoms of people with chronic post-traumatic stress disorder (PTSD). The study also says that it improved their quality of sleep. Similarly, THC is said to help people with insomnia fall asleep faster. THC also has the ability to increase appetite by binding to receptors in the brain that trigger the release of ghrelin, a hormone that stimulates hunger. Its ability to heighten the sense of smell – what people call the “munchies” – can also make food more attractive and taste better. Many believe that this could make THC a good treatment for eating disorders and other conditions that diminish the appetite. THC can also be used as a muscle relaxant. Sativex, which contains both THC and CBD, is an approved drug for treating muscle spasms and spasticity, a condition that makes muscles stiff and difficult to move. According to a study which appeared in the Proceedings of the National Academy of the United States of America, both THC and CBD are able to protect the brain from glutamate toxicity which causes cell death. This led the researchers to label them as neuroprotective antioxidants. CBD is known to neutralize the psychoactive effects of THC. The binding of THC to a receptor in the brain called CB1 is what causes people to get high when they use marijuana. But, in the presence of CBD, this binding does not occur. CBD can also be used to reduce anxiety. In a study published in Neuropsychopharmacology, Brazilian researchers report that CBD has a positive effect on people with social anxiety disorder. After being given doses of CBD, they showed less anxiety and discomfort when speaking in public. CBD also shows promise as treatment for depression as it shows effects similar to antidepressants in animal studies. CBD may also be good for the heart. Based on findings published in JCI Insight, CBD has the ability to reduce stress and lower high blood pressure, making it a potential treatment for hypertension. Other conditions that CBD is known to help with include seizures, inflammation, acne, and psychosis. Find out more about the benefits of marijuana by visiting CannabisCures.news. Previous :Focus on the good memories: Can “happiness” exercises help enhance the mood of individuals recovering from substance abuse? Next : Can acupuncture improve PCOS?